The world’s polluters have blocked real action and have once again chosen to bail out investors and banks by expanding the now-crashing carbon markets – which like all financial market activities these days, appear to mainly enrich a select few. Despite talk of a “roadmap” offered up by the EU, the failure in Durban shows that this is a cul-de-sac, a road to nowhere. Spokespeople for Climate Justice Now! call on the world community to remember that a real climate program, based on planetary needs identified by scientists as well as by a mandate of popular movements, emerged at the World People’s Summit on Climate Change and Mother Earth in Bolivia in 2010. The Cochabamba People’s Agreement, brought before the UN but erased from the negotiating text, offers a just and effective way forward that is desperately needed. “The technology discussions have been hijacked by industrialized countries speaking on behalf of their transnational corporations,” said Silvia Ribeiro from the international organization ETC Group. “The only way forward for agriculture is to support agro-ecological solutions, and to keep agriculture out of the carbon market,” said Alberto Gomez, North American Coordinator for La Via Campesina, the world’s largest movement of peasant farmers. “REDD+ threatens the survival of Indigenous Peoples and forest-dependent communities. Mounting evidence shows that Indigenous Peoples are being subjected to violations of their rights as a result of the implementation of REDD+-type programs and policies,” declared The Global Alliance of Indigenous Peoples and Local Communities against REDD and for Life. “The World Bank is a villain of the failed neoliberal economy,” says Teresa Almaguer of Grassroots Global Justice Alliance in the U.S. Climate policy is making a radical shift towards the so-called “green economy,” dangerously reducing ethical commitments and historical responsibility to an economic calculation on cost-effectiveness, trade and investment opportunities. Mitigation and adaption should not be treated as a business nor have its financing conditioned by private sector and profit-oriented logic. Life is not for sale. Developed countries, in assuming their historical responsibility, must honor their climate debt in all its dimensions as the basis for a just, effective, and scientific solution. The focus must not be only on financial compensation, but also on restorative justice, understood as the restitution of integrity to our Mother Earth and all its beings. We call on developed countries to commit themselves to action. Only this could perhaps rebuild the trust that has been broken and enable the process to move forward. of the Durban UN Climate Change Conference (COP17/CMP7). on the Durban Platform for Enhanced Action. submit them for review by May 1, 2012.
global climate action and as models to inform future agreements,” Ms.
launched on time,” said Ms Figueres. 2012 (see below for details). 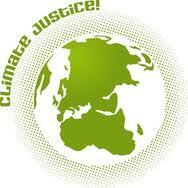 to keep the global average temperature rise below two degrees Celsius. Assessment Report and the global Review from 2013-2015.
damage caused by extreme weather events related to climate change. • The Technology Mechanism will become fully operational in 2012.
call for proposals for hosts on 16 January 2012.
registry will be a flexible, dynamic, web-based platform. change actions and policies were established. under the Convention. Details of this will be taken forward in 2012. COP17 – the 17th annual Conference of Parties, aka the Conference of Polluters – began on Monday in Durban, South Africa. The Kyoto Protocol, to which most attendee nations (but not the U.S.) are signatories, is widely acknowledged to be in its death throes. As in previous U.N. climate conferences, civil society organizations are mounting a counter-summit, a step that is particularly important given the significant reduction in the number of NGOs allowed to register for the conference. But will global civil society be able to exert any influence on the powerful nations of the world? How much traction can a radical anti-capitalist critique of over-development gain under current conditions of global economic crisis? Will rising inter-imperial competition between nations such as the U.S., China, and Brazil spell the end of the Kyoto Protocol and a complete abandonment of all attempts to regulate the world’s increasingly chaotic environment? Sitting waiting to sort out housing after arriving on a red-eye flight to Durban, I met Dr. Landry Mayigane, a young veterinarian from Rwanda who is one of the organizers of the youth delegation to COP17. He said that the young people from around the globe whom he helps to organize are feeling very pessimistic about the current meeting. According to Landry, there is little hope that any substantial forward progress is going to come out of a meeting held under the current global economic downturn. The point here is pretty obvious: global elites are taking the current economic crisis a pretext to impose austerity rather than – as they should – an opportunity to facilitate a just transition to a truly sustainable society. One way that such a transition might be effected is through a Million Climate Jobs initiative – a campaign being spearheaded, at least in organizational site, by a guy I ran into last night: Jonathan Neale. He also talked about how disillusioned many civil society organizations became after the Copenhagen climate summit. The huge mobilization resistance groups engaged in there failed to produce any meaningful movement, and, it could be argued, the situation has deteriorated significantly in terms of international negotiations since then. For example, Landry noted that just two days ago, the Canadian government announced that it is going to pull out of the Kyoto Protocol. The evening ended with me sitting bleary-eyed through a meeting of the Climate Justice Network as they debated whether to back a press conference to be organized by five prominent groups (e.g. Friends of the Earth – Africa). There was quite a lot of debate about whether to move forward with this initiative given the fact that many in the People’s Space cannot get into the conference; significant numbers of people expressed concern about the impact on the People’s Space of holding meetings “inside.” Where, some wondered, would “outside” be if “inside” was so sanctioned? This debate I think underlines how marginal social movements (and the 99% in general) are to the entire UN process as presently constituted.